Courtesy of 10th Annual Bill Keating Jr. Great Ohio River Swim, Ohio River, Cincinnati, Ohio. Bill Keating, Jr. was active in academic and athletic programs for more than 30 years with the University of Cincinnati, St. Ursula Academy, St. Xavier High School, UC Center for Entrepreneurship Education & Research and the UC College of Business. He also was active in the Greater Cincinnati Sports Corp., Girls!CAN, Cincinnati 2012, the Harmony Project, and the Greater Cincinnati/Northern Kentucky Women’s Sports Foundation. The attorney, listed in the Best Corporate Lawyers in America, was also non-stop in his professional career for 38 years. But as a former pool and open water swimmer, he volunteered for decades as a coach and a high school and college swim official. In the inaugural Great Ohio River Swim in 2007, Keating was one of the first swimmers to register. In that first year, Keating won the male race, but lost the overall title to his daughter Caroline. Three of his children and his father eventually participated in the cross-river race over the years. Co-chairman Brewster Rhoads explains why the event is now dedicated to Keating. "In March of 2017, Bill lost his battle with brain cancer. 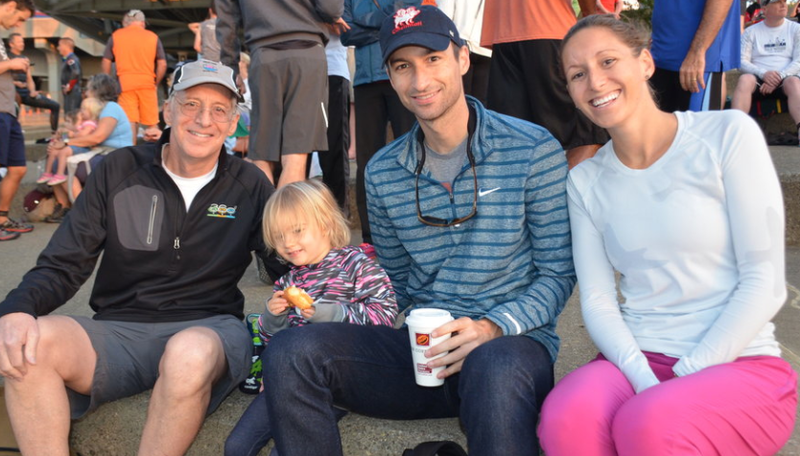 As a big supporter of the swim, he had talked others in signing up for the swim across the river." The next Great Ohio River Swim will be held on September 24th. 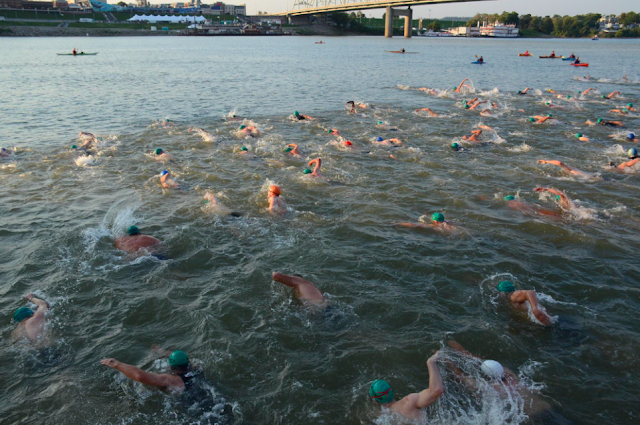 "Swimmers start at the Serpentine Wall and swim about 900 meters to Northern Kentucky and back in the Ohio River, ending the swim at the Public Landing." The $40 registration fee ($25 for kids ages 12-18 and $35 for college students ages 17-23) benefits the Outdoor Adventure Clubs of Greater Cincinnati, a non-profit organization that works in 21 inner city high schools to get urban teens out into nature to paddle, hike, bike, camp, fish, climb, swim and ski year round. Registration for the swim is at www.GreatOhioRiverSwim.org. Photo above shows the Keating Family at the 2016 Great Ohio River Swim with Bill Keating, Jr., Annette Keating, Jack Keating, and Caroline Keating (left to right).